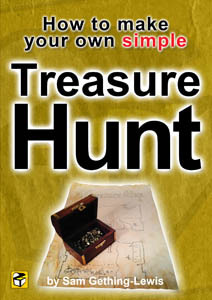 Rover Walking Treasure Hunt Package – for teens and adults exploring a specific area. Ideal for venues set in a beautiful location or a city. The Rover walking treasure hunt package is a walking based adventure that takes you off the beaten track finding out things which you might not normally notice. Intrepid hunters decide which order to solve the clues in. It is set to last for up to two hours taking participants to historically interesting venues, architecturally spectacular views and highlighting all the most interesting features of the local area. The hunt is made up of eight clues, each of which presents a different style of challenge – not just a list of questions. This is an ideal Team Building break-out group option at a much more economical cost than most other alternatives. It is targeted at teens and adults who want to solve complex puzzles and challenges.